IP Security Camera is a popular type of CCTV camera used by various CCTV systems integrator & Business organizations here in Singapore. 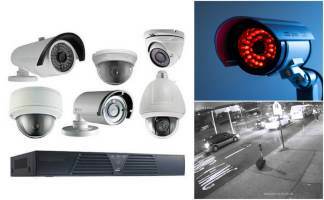 Over here at T3 Security Integration, our CCTV Camera System consultant offer a set of objective comparison between different PoE Networking surveillance system platforms so that the customers can make an informed decision in choosing a suitable Wireless Security Camera or surveillance cam system that they need. We felt that it is important to support & pro educate our clients as most end users don’t actually know that in fact there are two drastically different CAT cable networking system platforms available for any CCTV Security System installation. In a Standard IP camera system, the key differentiation here is that the camera by itself is able to stream High definition HD digital video directly to a PoE Network Video Recorder (NVR). Because the video format used is digital, there is no requirement for an analog to digital megapixel signal conversion. As the Surveillance IP camera is an online device, the cabling requirement is usually only a single standard computer Ethernet Network wire. Such a digital IP network port audio connection enables a convenient two-way communication between users on the mobile phone network and the cameras. Other cost benefits of using a multi channel IP video CCTV is that is can utilize existing data network service infrastructure. It is interesting to note is that in both an Analog & IP CCTV systems, the topology of both surveillance system cables are essentially similar whereby both the DVR and NVR is where the central video surveillance software logic package is installed. This means that the DVR & NVR is the nucleus of the whole surveillance system. It is where all the system logic which performs important video management functions is located. Using a normal internet browser, such as Internet Explorer or a viewing client, end users connected to the PoE network can efficiently send video sequence search based on camera location event type, time and date, regardless of whether the video is stored and play directly from the storage media itself. In a typical CCTV surveillance system, analog video is electronically streamed directly from the CCTV cameras to a centralized Digital Video Recorder (DVR) which helps to digitally convert the analog data stream to digital video format. In such an Analog CCTV system, the Coaxial cabling used for data transmission can only send information in one single way. Although a lot of the digital video surveillance system design and buying guides available out there in the market suggest that the first thing you should be looking at is the Dome, Bullet, Solar Powered Camera or PTZ (Pan Tilt Zoon) camera vision hardware, there is however, a much more critical step or decision that you need to be able to make before you look at any IP Security Camera hardware items, product accessories or any software, which is deciding on which PoE cable networking system platform to build your CCTV Surveillance system on, ie. whether to use a Centralized or a Decentralized platform. There is a much important decision that you as a customer need to account for and make when deciding on the best IP Security camera system and DVR & NVR recorder to shop for. The camera body enclosure has a rugged weatherproof custom design which allows them to be deployed straight out of the box without the need for the care protection from an outdoor protective housing. With the decentralized CCTV camera system, the Dome or PTZ cameras themselves are equipped with the NVR feature capability. This means that a central NVR is not necessary and eliminating the need to pay for a costly licensed video log management app software. This recording of usable high-resolution video log allows the video footage can be accessed and viewed straight from the memory storage device itself, either Locally or Remotely via a network wire cable and an internet browser. Utilizing a free of charge client management program, end customer can have the power to easily connect & access the stored video work logs and efficiently perform time & date based event searching. Such a decentralized PoE cable network system helps to completely eliminate the need for a central NVR & effectively frees you up from the costly ongoing video management software licensing costs and server hardware service requirements. With a decentralized network system, there is no requirement to account for additional Video log management software licensing costs as the software is already installed in the cameras. Each of the camera in a decentralized system is able to effectively operates independently like individual DVRs on the PoE wire network. This means that there is no single critical point of system failure, as each camera can independently work & record to its own individual storage media located inside the Megapixel camera. The storage recording media can range from either an internally installed SD memory card, External hard disk drive, or to a Central storage devices such as NASs or a Windows or Linux based computer. In addition, PoE CCTV Cameras can be programmed to instantly perform sending of motion event triggered an alert notification by sending an email SMS or making a phone call that contains a pre-recorded detailed message relating to the incident and a suggested course of action to take. However, it is important to note that all the Video record processing work, Alarm notification event, and Storage management is handed out by an NVR (ie. Network Video Recorder ), which usually consist of a Central PC computer which is pre-installed with a licensed video log management software package. With a centralized system, all the processing has to go through the NVR first in order for the customer to enjoy full functionality. If for instance, the CCTV camera recorded straight to an external storage media, be it an SD card, Hard disk or NAS without a central NVR connected to the same network, work users will not be able to perform intelligent time and motion event-based searches on the recorded video footage. The lack of camera processing services functionality in a centralized network means that all video log data has to pass through the NVR connectors first. When it involves recording to an attached storage media for the purposes of archiving storage, this can only happen once the NVR has complete the footage data processing. It is only after which users can carry out meaningful searches on the archived video log using Time, Day and Event input parameters. In a centralized IP camera system, the video data captured has to be 1st processed and packaged by the NVR before it can be searched and accessed. As all the video store data is required to be streamed to pass through a centralized point such as an NVR, it presents a potential resource bottleneck which can potentially cause Network and server resource overload to quickly happen. The entire decision-making process and overall success of the surveillance system deployment depend on the central NVR because in such a centralized CCTV system the NVR handles all the motion Event triggers configuration, Data Storage management & administration, and Video post-processing. In the unfortunate event that the NVR or any wire cables malfunctions, the entire system will cease working. The video management software license in the NVR of a centralized system is normally charged on a per Camera basis. This means that there is an added cost during orders for each Camera installed to the CCTV system. In addition to the existing NVR server license cost, some Video management software company also charge a yearly software maintenance fee to receive for software upgrades. Learn more what IP Security Camera can do for your project now by calling us at 6100 8374 for a no obligation discussion of your needs. Got any questions or queries? Our knowledgeable and friendly salesperson will be happy to assist you and share with you in details the benefits & features of IP Security Camera.